Cheese with Caraway Seeds. This is a chilled product. This cheese belongs to the middle of the cheese taste scale. It will appeal to those who like a characterful and aromatic flavour given that it is flavoured with caraway seeds. 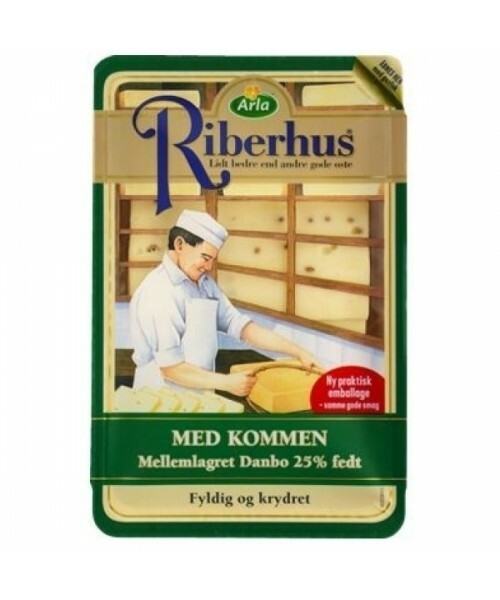 It is a great addition to a Danish cheeseboard. 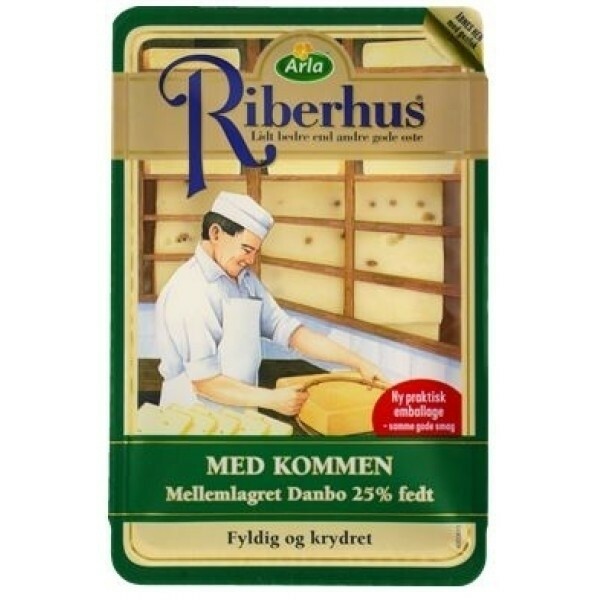 Excellent in an open dark rye bread sandwich for lunch, served with sliced cucumber and accompanied by a Danish beer. Pasteurized milk, salt, caraway seeds, starter (Milk), rennet, preservative (sodium nitrate).